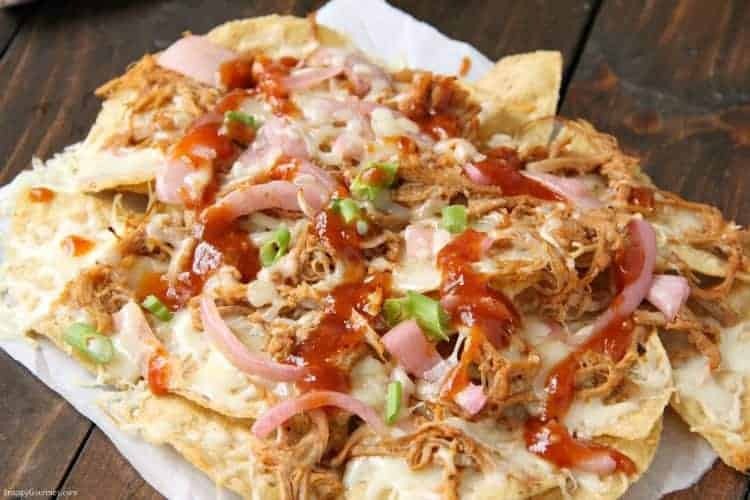 BBQ Nachos, baked nachos with BBQ pulled pork and homemade pickled onions. Loaded with cheese, these nachos are perfect for parties and the Super Bowl! Are you a BBQ fan? 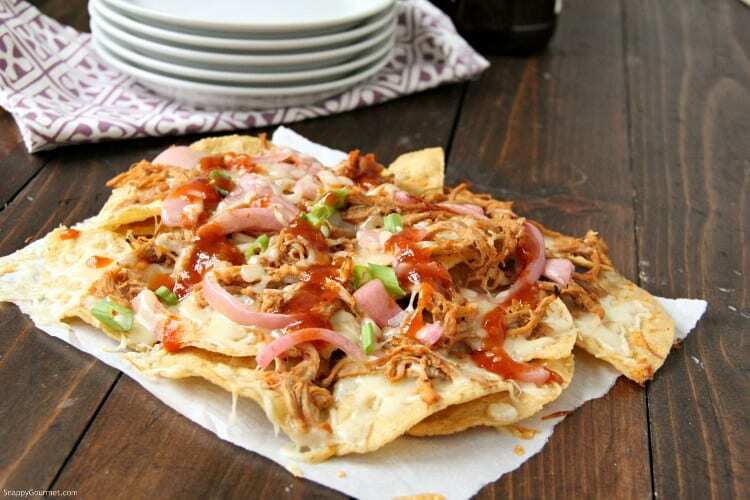 You’ll love these BBQ Nachos with pulled pork! 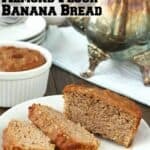 Great way to use up some leftover pulled pork you may have around. You can also use chicken instead. 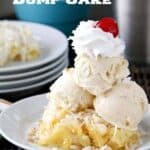 Super Bowl parties are this weekend, are you ready? 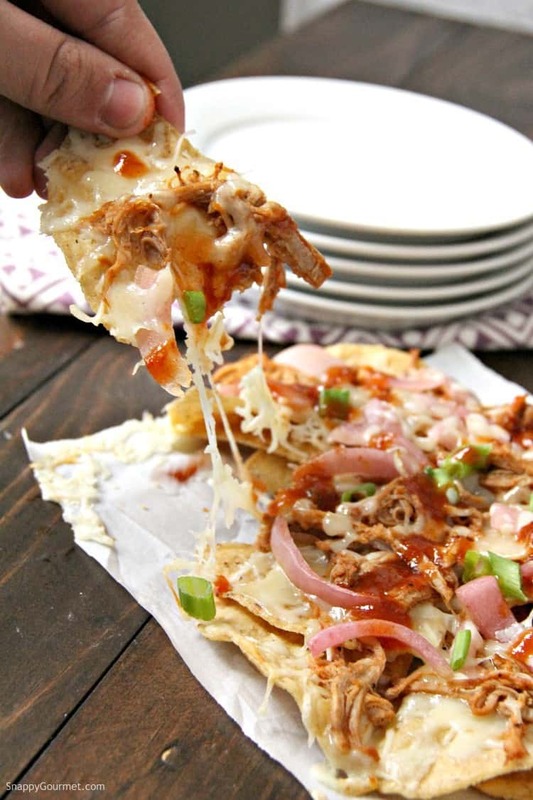 These are the perfect Super Bowl Nachos! 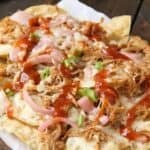 To start on these BBQ Nachos, you’ll want to preheat your oven to 350 degrees F. You could use a higher temperature, or even broil these nachos, but the chips could burn a lot quicker so you’ll have to watch them a bit more. Next, line a large baking sheet with parchment paper or aluminum foil. You could use a silicone mat as well. Layer some of your favorite tortilla chips in a nice large even layer on top of the pan. Sprinkle about half to three-fourths of the cheese on top of the chips. We shredded the cheese ourselves and used a combination of white cheddar and Monterrey Jack. 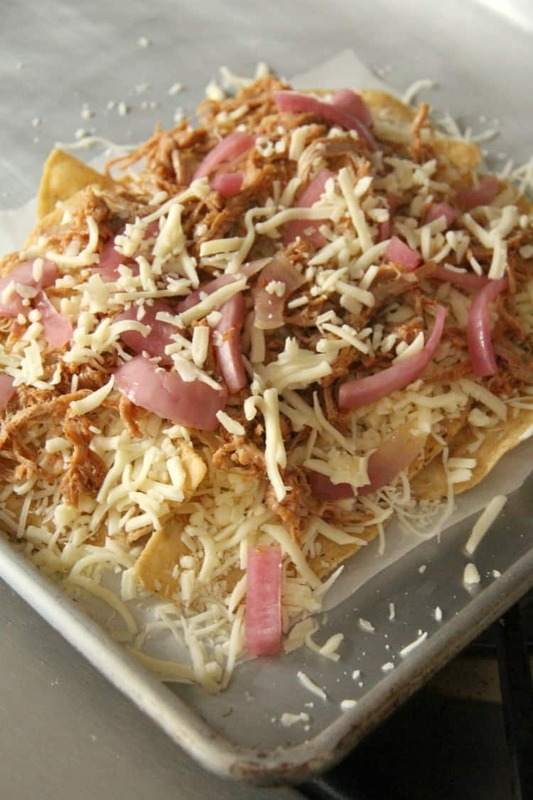 You can buy preshredded cheese, but if you shred it yourself it tends to melt better which is perfect for nachos. Spoon some of the pulled pork that has been mixed with BBQ sauce on top of the chips and cheese. Also, top with some onions (check out my pickled onion recipe). We keep a big jar in our fridge at most times, but if you don’t have any or don’t want to make them (but seriously give them a try…), pickled jalapenos from the grocery store would be great too. 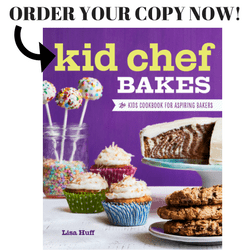 You can add your other favorite toppings. Black beans and/or corn would also be great additions! Sprinkle a little more cheese on top of everything. The top layer of cheese helps keep everything together! 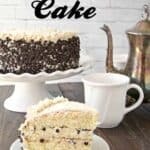 The quantities in the recipe card below are approximate. Please use your best judgment and personal preference when building these nachos. Bake the nachos for about 5-10 minutes in the middle of your oven. Be sure the cheese is fully melted and the chips are warm before removing from the oven. If you lined the pan, you should be able to slide the nachos right off the pan and place on a serving platter, a large cutting board, or just right on the table if you’re hungry. haha! 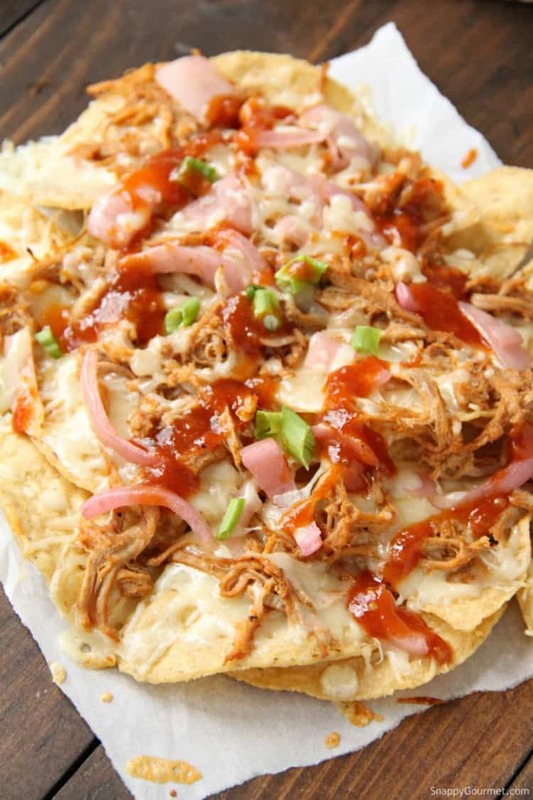 Top these BBQ Nachos with your favorite nacho toppings. We like to drizzle a little BBQ sauce on top as well as green onion. Cilantro and sour cream would also be great! Be sure to serve these nachos right away. The longer they sit, the more soggy they will get. 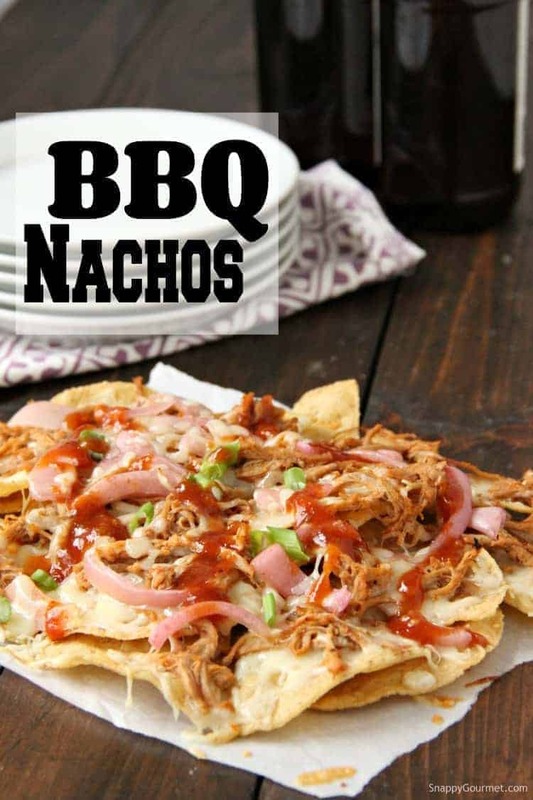 Hope you enjoy these fun BBQ Nachos for all your Super Bowl parties or other events! 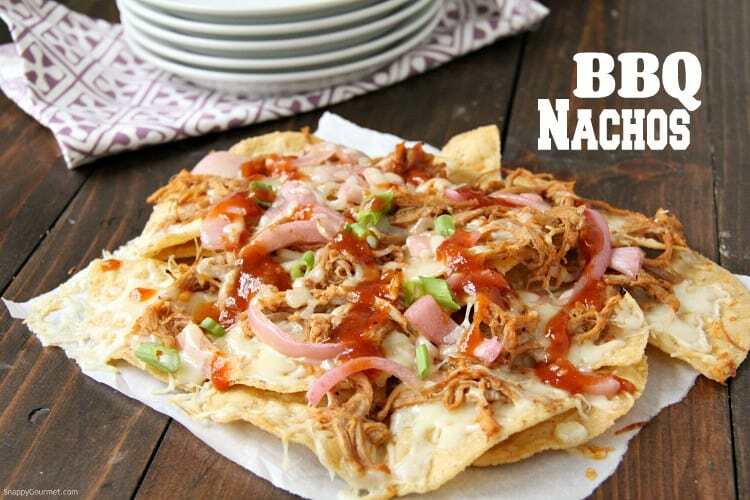 BBQ Nachos, the ultimate oven-baked nachos with BBQ pulled pork and homemade pickled onions. In a large bowl stir together the pulled pork and 1 cup of BBQ sauce. Add more sauce as desired. Spoon pork and pickled onions on top of chips. Top with remaining cheese. Bake nachos at 350 degrees F for about 5-10 minute or until cheese has melted. Drizzle some of the remaining BBQ sauce on top. SNAPPY SUBSTITUTIONS: Any kind of precooked meat could be substituted for the pulled pork. You can serve these nachos with your favorite toppings including some of the suggestions given. Nachos are one of my favorite snacks…. sometimes even dinner. Love the addition of pickled onions to them and never thought to try that. For some reason I haven’t had nachos in a while, this reminds me I should change that. 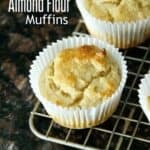 They sound tasty and a good way to use leftover pulled pork too. We LOVE nachos. 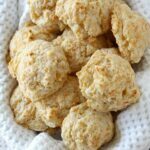 Our go to dinner when wanting a break from cooking. Always a hit when we have friends over too. 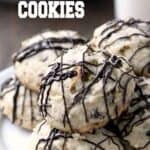 These sound delicious. Nachos are always a fun idea especially for game day! Love the idea of using the homemade pickled onions. They add such a great flavor!